Controller repaired Include for Industrial Electronics, IT, Telecom, medical , Military and Aerospace and Marian . 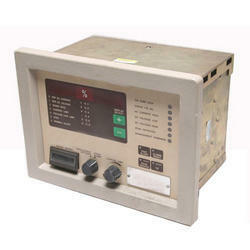 We have repaired , tested and installed the BAPCON ESP Controller Type No. OHTA-43/4 . We have carved a niche amongst the most dominant names in this domain, involved in providing ESP High Voltage Controller Repairing. Perfork Technologies Repair Services business is a leading repair service provider for ALL MAKES AND MODELS of Motion Controls & Servo Systems. We undertake repairing of all type of controllers used in laundry machines including this one used in Renzacci Washer Extractors. Our service technicians are skilled enough to perform repair, renovation or modifications on the controller repairing. They check each and every part of the controller to detect the functionality based problems. 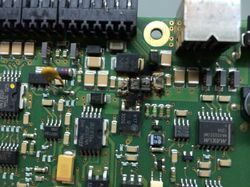 Being a noticeable firm of market, we are renderingMarposs Controller Repairing Services.This service is handled by experts who use advanced technique to render this service as per customer's demand. TieDot Technologies offers industry-leading Cisco Access Point repair services. With an expert staff of technicians and an advanced tech center, we are well suited to serve your repair needs. Keeping the needs of our valued clients in the mind, we offer Trump's Delem Controllers Repairing Services that is executed using the modern machines in sync with the set modern market trends. ALL TYPES OF DERVO DRIVE REPAIRS.